You are currently browsing the tag archive for the ‘Bitters’ tag. The agonizing wait is over! In honor of Mad Men returning this Sunday, here’s a repost of my Don Draper gelatin mold. More Mad Men inspired recipes to come! See this mold featured on Delicious Links at Apartment Therapy The Kitchn. I’m a huge fan of the show Mad Men. Not only do I adore the show’s style, acting, and social commentary, I’m fascinated by the cocktail-centric world it depicts. 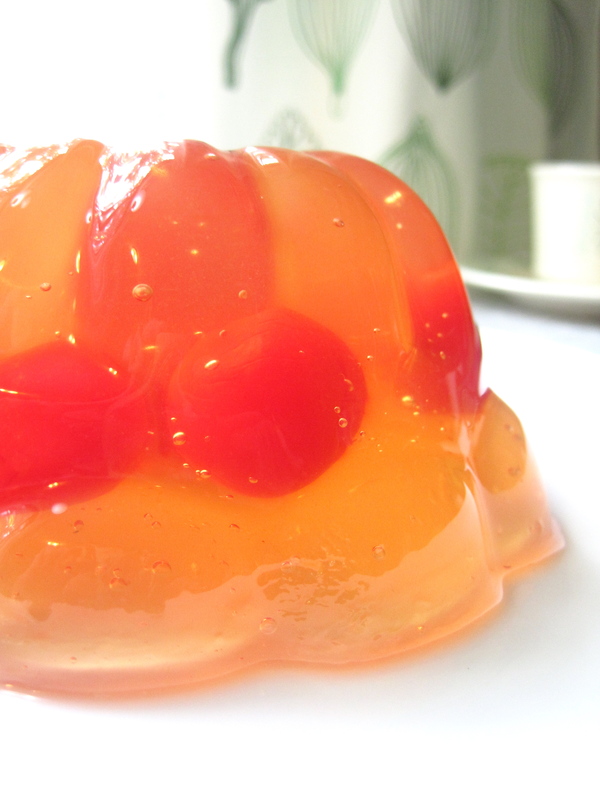 In honor of Mad Men’s 4th season premier, I created the Don Draper gelatin mold. The Don Draper is based on an old-fashioned, a cocktail consisting of bourbon (Don preferred Canadian Club whisky), sugar, water, dash of bitters, twist of lemon (or orange), and a cherry. 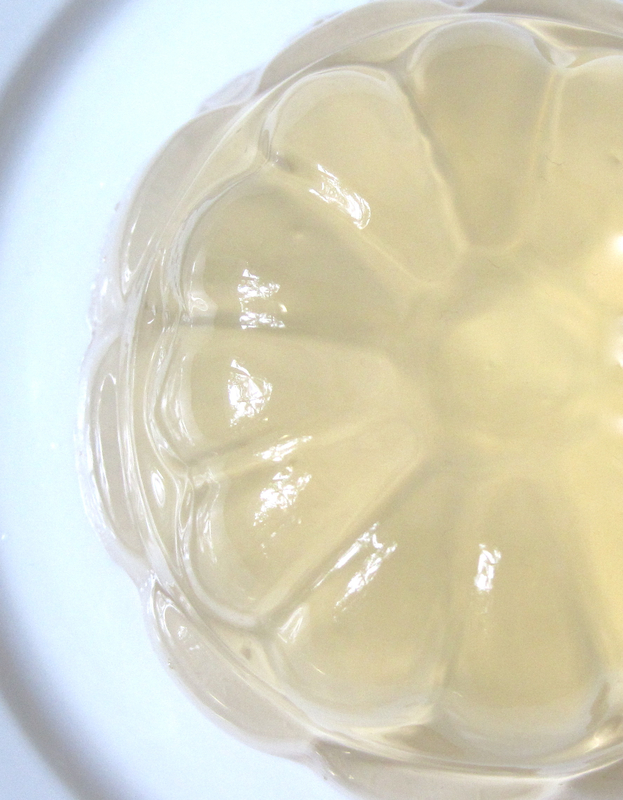 It was a challenge to convert an old-fashioned into a gelatin mold, but I think I’m finally figuring out the magic cocktail-to-gelatin formula. Put ½ cup of water in a medium bowl and sprinkle the 2 packets of gelatin on top. Set bowl aside. Put water, sugar, and lemon juice in a saucepan over medium heat and bring to a low boil until sugar dissolves. Remove from heat and add lemon zest. Let stew for 10-minutes. Strain the lemon syrup, and return to saucepan. Reheat the syrup, and pour over the bloomed gelatin. Stir until gelatin dissolves. Stir in bourbon and bitters. Note: if bourbon is cold, it will reduce the amount of time needed before adding cherries. Put mixture in refrigerator (or freezer) until thickened to a soft gel consistency. It should be easy to stir but thick enough to suspend the cherries. Stir in cherries and spoon mixture into mold(s). Put in refrigerator until set, at least 4 hours. I adore the movie Casablanca. The romantic in me swoons at the palatable chemistry between Rick and Ilsa, while my social justice warrior admires Rick’s decision to choose the greater good over the love of his life. Blatant racism and sexism aside, Casablanca elicits my sentimentalities. The music, Ilsa’s dresses, pre-occupied Paris, flowing champagne, scary Nazis, clever self-awareness, fear of the unknown – how sad and magnificent! For better or worse, alcohol plays a central role in the film. Bourbon, champagne, and French 75s have starring roles. The champagne cocktail, my personal favorite, is ordered by Laszlo as he meets his French resistance contact at Rick’s. 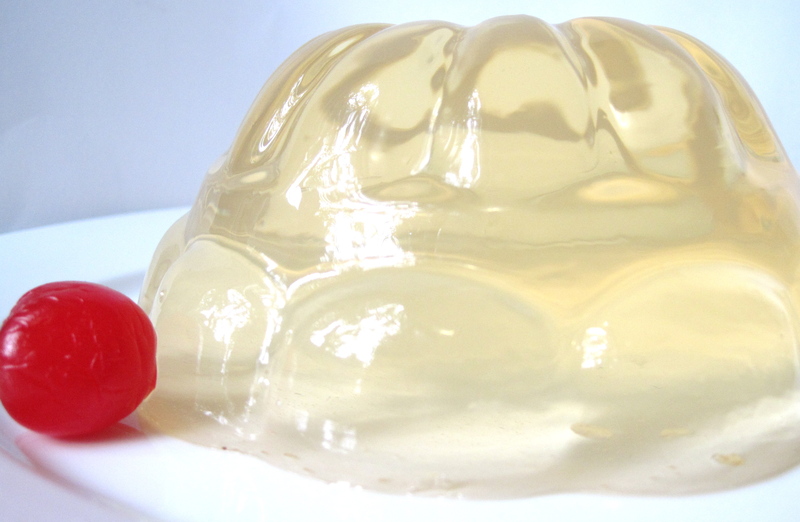 Hence, The Casablanca gelatin mold is based on the champagne cocktail. Several variations of champagne cocktails exist, but the classic recipe calls for 1 sugar cube, 2-3 dashes Angostura bitters, and champagne. (As much as I love champagne, I rarely can afford it! Instead I purchase less expensive Spanish Cava or Italian Prosecco.) The bitters and sugar cube offers a tasty, spicy punch to any sparking wine. 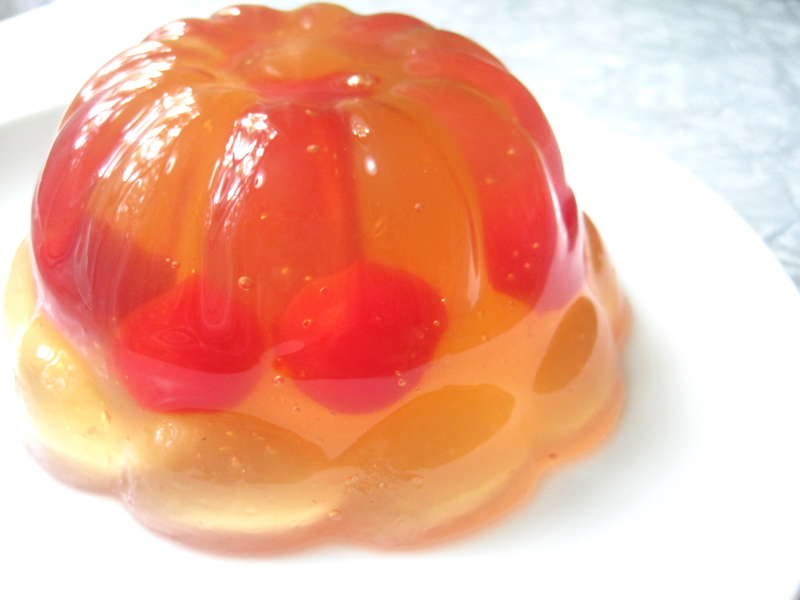 The spicy sweetness transferred nicely into a gelatin mold. Put ½ cup of cold water in a medium bowl and sprinkle 2 packets of gelatin on top of the water. Set bowl aside.